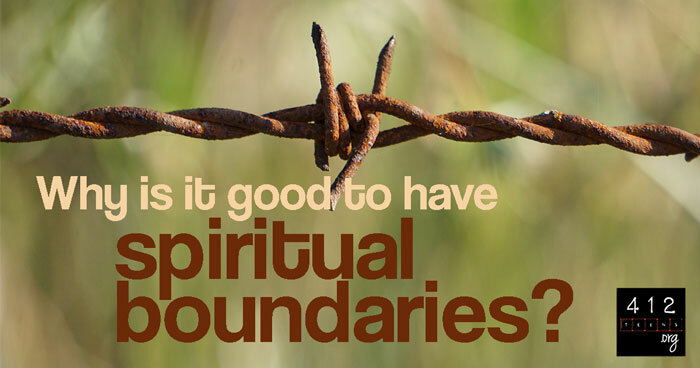 What are spiritual boundaries? How can I set spiritual boundaries in my life? When we make boundaries, we are defining what we are personally responsible for. For example, YOU are responsible for the hours you’re scheduled for at work, but you are NOT responsible for covering your coworker’s shift just because they wanted to go to a concert. YOU are responsible for getting your own homework done, but you are NOT responsible for whether your friend does his. A physical fence protects a vegetable garden from being ravished by invading deer. Learning to say “no” to something outside your mental and emotional boundaries protects your resources from being wasted where they’re not valued. Spiritual boundaries are how we protect the health of our relationship with God. Throughout life, you may hear new teachings, new pastors, etc. who are basically Christian pop stars. Some of these teachers DO share truth that’s backed by the Bible, but others may teach things that go directly against God's Word. Sometimes it’s easy to spot bad teachers because their "truth" is utterly unbiblical. But sometimes “false teachers” are much harder to identify (Matthew 24:23-27). Having spiritual boundaries can keep you from getting “tossed to and fro by the waves and carried about by every wind of doctrine, by human cunning, by craftiness in deceitful schemes” (Ephesians 4:14). Figuring out what you believe is HARD. People can interpret the same passages of Scripture in very different ways. These variations can come from poor study, lack of understanding cultural or literary context, or a mistranslation of the original Hebrew or Greek. Sometimes contrary interpretations come from a passage in Scripture that just isn’t clear. Because of these diverse interpretations, there are now countless denominations of Christianity that vary from each other in really small OR really big ways. When you’re starting to evaluate what you believe, start with what you know to be true and stick to it. Sometimes that starting point is a really broad idea or it may be a miniscule moment when you KNEW God was there. Maybe the only thing you know to be true is that “God so loved the world that he gave his only Son, that whoever believes in him should not perish but have eternal life” (John 3:16). If so, that’s okay! Everyone has to start somewhere, and God will not abandon you in this process (Hebrews 13:5-6). Study the Bible as much as you can but also talk to God as you study. James 1:5 says, “If any of you lacks wisdom, let him ask God, who gives generously to all without reproach, and it will be given to him.” Ask for understanding, clarity, and guidance each time you sit down to read Scripture. Ask Him to help you grow in your understanding. As your knowledge of God’s Word strengthens, apply those new lessons to how you love, live, and discern (2 Timothy 1:13). There's nothing wrong with having friends who are not Christians, but remember that their spiritual goals will be quite different from yours. A friend who isn’t a Christian CAN help challenge you to explore your own beliefs, but they cannot walk alongside you in the same way a friend who shares your faith can (Proverbs 27:17). Also, not all non-Christian friends will be supportive of your faith, morals, or convictions and may cause you to doubt in a way that isn’t healthy and doesn’t encourage growth. How are your close friends affecting you? Are you receiving spiritually healthy counsel from those you spend a lot of free time with? Proverbs gives us some really good advice about what kinds of people make for good friends. “Whoever walks with the wise becomes wise, but the companion of fools will suffer harm.” —Proverbs 13:20 - Our friends should show wisdom and discernment and not be in the habit of doing reckless and foolish things. “Make no friendship with a man given to anger, nor go with a wrathful man.” —Proverbs 22:24 - Be careful around people with little to no self-control, especially with their temper, and certainly don’t allow them into your inner circle of trust. “Faithful are the wounds of a friend; profuse are the kisses of an enemy.” —Proverbs 27:6 - A true and wise friend is one who loves us enough to risk calling us out and speaking painful truths when they see us in trouble. A friend who only pours out empty praise (or harsh criticisms) is not someone we should trust to give us either advice or correction. Part of taking care of our spiritual health is to set physical boundaries on how we care for our bodies. 1 Corinthians 6:19-20 says, “Or do you not know that your body is a temple of the Holy Spirit within you, whom you have from God? You are not your own, for you were bought with a price. So glorify God in your body.” But what does a physical boundary that glorifies God look like? Ways we can glorify God with our bodies are to flee sexual immorality (1 Corinthians 6:18), avoid overindulgence in food and drink (Proverbs 23:20-21), and be wisely productive with our time (Proverbs 6:6-11). Part of how these guidelines translate into helping our spiritual boundaries is the practice of self-control and self-discipline by prioritizing what is physically healthy and beneficial. As we work to strengthen our care of physical matters, we are strengthened in our spiritual health care as well, which is harder to see. Our shiny, loud world makes it easy to get distracted. When we let those distractions impact our faith negatively, they have become our idols. Idols are things we value or worship (either consciously or subconsciously) more than God (Exodus 20:3). When the thing we value or worship becomes more important than God, that is when we likely have an idolatry problem. Unfortunately, there are a lot of things that can be idols in our lives. While something obvious like substance abuse can show itself as an idol, sometimes the thing we worship isn't inherently unhealthy. We can make idols out of good things like a boyfriend or girlfriend, a celebrity, a new Netflix obsession, a musician or band, getting perfect grades, or having lots of friends. It's even possible to turn generosity and community service into an idol if we place all our self-worth and value on "good deeds" alone. Idolatry confuses and distracts our worship for the one true God. When we’re worshipping a “false god” we may see our Creator as just another category on the to-do list, giving Him quiet time out of obligation—not out of love. Is worshipping God just another bullet point in your day? Or is your day focused on a desire to serve, love, and praise God through everything you do? Setting any type of boundary isn’t easy and enforcing them can be even harder. Building a fence around a valuable garden is hard work, but it's worth it to protect the crop. Mentally separating and balancing our responsibilities for work, school, health, and friends can be confusing and overwhelming and HARD...but it's worth it to protect the beautiful person God has created in you and is working to transform (Romans 12:2). During the course of your life, you're likely to be flooded with advice from non-Christians and Christians alike, telling you what you 100% NEED to do to become a "Good Christian." But you don't have to blindly do whatever people tell you. Instead, you can use wisdom as you evaluate their advice. Is the advice-giver trustworthy? Are they lovingly calling you out or just trying to hurt you? Do they encourage you to ask God for help? Do they support you in your convictions and help you stay strong when faced with temptation? Do they help you reject things that distract you from God? Take any given advice (even ours!) and compare it to Scripture, check it against your physical, emotional, and spiritual boundaries, all the while asking God for discernment in the process. Not everybody is going to be okay with you having boundaries, but it is NOT your responsibility to make them okay with it. It IS your responsibility to enforce those boundaries to protect your body, your heart, and your soul. But the Creator of the Universe has your back. You got this. When we make boundaries, we're defining what we're personally responsible for and protecting our physical, emotional, and spiritual resources. Spiritual boundaries are how we protect the health of our relationship with God. Study the Bible and talk to God as you figure out what boundaries you need to enforce in your life (James 1:5). 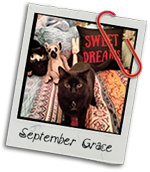 Setting spiritual boundaries can be a daunting task, especially when you’re just starting out. But God will never abandon you in that journey. None of your requests for help are too great or too small for God to grant (Philippians 4:6).